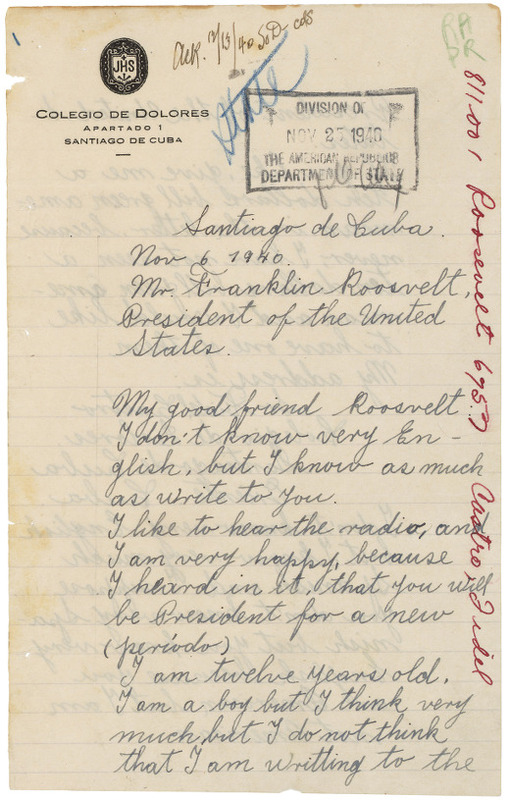 In November 1940, thirteen years before spearheading the revolution that would ultimately see him replace dictator Fulgencio Batista as leader of Cuba, a teenage Fidel Castro—aged fourteen, not twelve as he inaccurately claimed—wrote a somewhat cheeky letter to the then president of the United States, Franklin D. Roosevelt, and asked him for some money: a $10 bill, to be precise. 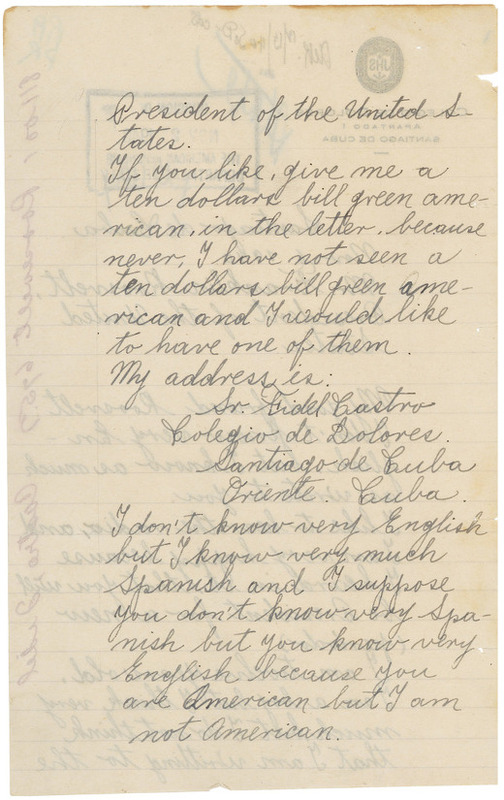 Some time later, he received a standard reply from officials. 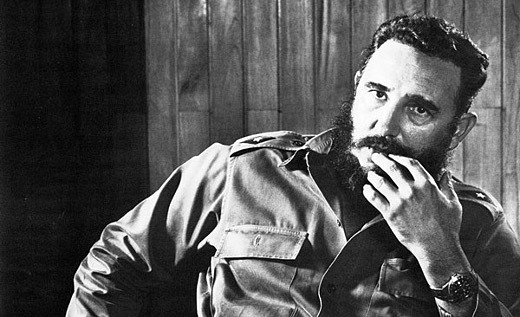 His request for cash had fallen on deaf ears, as had his offer to reveal the wherabouts of Cuba's largest iron mines. 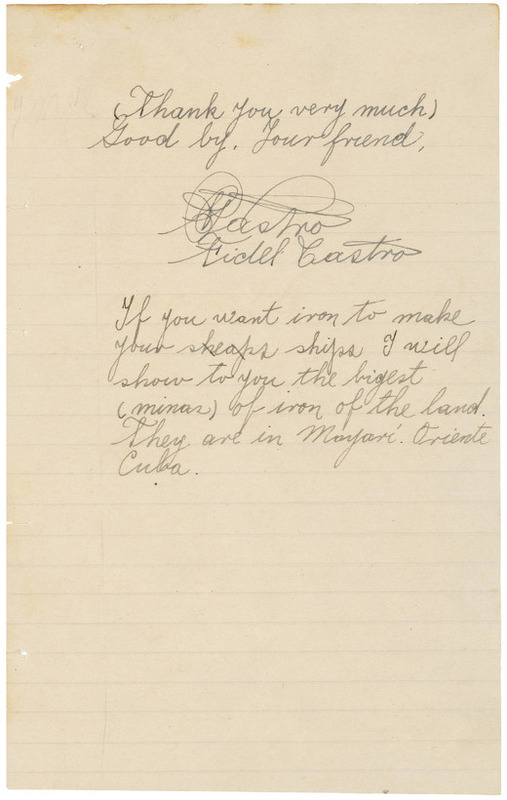 Young Castro's priceless letter was rediscovered in 1977 by specialists at the National Archives and Records Administration.